I probably spent about an hour hanging out with Adam Bohn (you AQ players know him as Artix von Krieger) and team wandering the world of AQ3D and chatting gaming. Literally. Yes, we talked about AQ3D, we talked about the massive undertaking that it is for a small company to try and unify iOS, Android, and PC players into the same world, we chatted about the game’s class system where players can swap classes on the fly and in the future may have to unlock multiple classes to get a final class they really want (think unlocking Gladiator and Conjurer in FFXIV to get a Paladin and you have the idea), and more. But we also traded stories about the gaming industry, Artix’s devastation when Unity decided to no longer support Flash in 2013, and other items. This preview seriously felt like a bunch of gamers sitting around swapping stories about their gaming pasts and the industry as a whole. I learned quite a bit about AQ3D in the process. First, AQ3D may seem simplistic at first and compared to some other MMORPGs out there, maybe it is. But do not make the mistake of thinking that means it is easy. The big, vibrant, colorful world is impressive. Even more so when you consider that this is Artix’s first foray into the third dimension. Long time AQ players will likely “Sqwee” a little the first time they see the city of Battleon in 3D. The game’s fast load times in between zoning into dungeons, shops, and other locales is a testament to the programming behind the system that actually dynamically loads and unloads assets as you come across them. The game’s fast travel system lets you jump to almost any map in the game to group up quickly, and future enhancements will allow friends (regardless of platform) to send codes to each other so that you can instantly jump to your friend’s location and play together. And that’s the name of the game, playing together quickly. AQ3D is its own story. It’s not a continuation of previous games in the franchise. 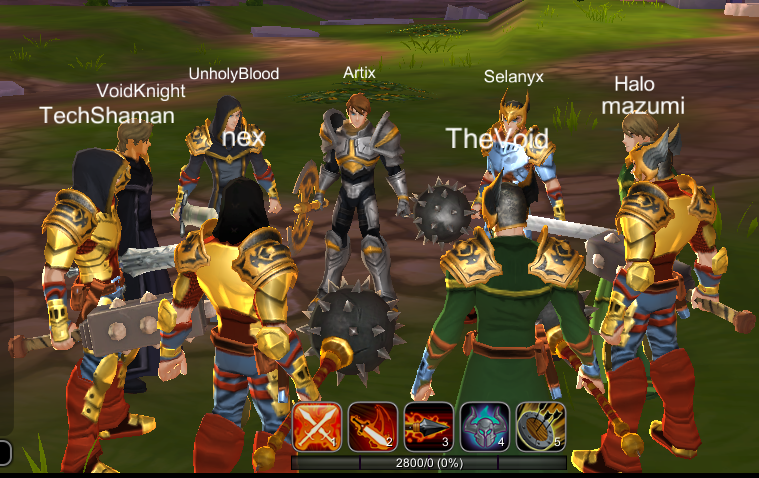 In this version, Artix has put the focus on quick play. Allow players to group up quickly, knock out a dungeon, and move on. Maybe you’re on the go and only have a few minutes to play? No problem. The controls easily make tablet play comfortable. Swapping classes, fast travel, inventory management, gear…it all works very quickly through basically one master menu. While “Pre-Beta” continues, lots of early backers are already in game leveling up multiple classes. Our first game experience involves chasing down a big baddie in the game’s new intro sequence. Visually the game looks great and I opt to play as a Guardian. I quickly change to Mage (skipping Warrior and Rogue) and start raining fireballs and lightning on my foes. Gameplay is smooth with solid animations and very little stutter for a game this early in testing. Each time we travel the map we’re thrown right into a new adventure and players will appreciate jumping right from fight to fight (with varying difficulty of course) without a lot of walking or traveling downtime. While AQ3D will be free-to-play, the game will also feature some monetization. This will likely come in the form of an in-game cash shop but Artix ensures me that there will be no pay-to-win debate on their business. Judging by the very creative gear some players around me were wearing (including a paper bag head piece with a face drawn on it) there is going to be plenty of room for cosmetic sales. If you want to get in on some early testing, you can become a Guardian now for $25 and score some lifetime perks. All in all, AQ3D seems to be shaping up nicely and AQ fans are probably going to enjoy the game’s transition into 3D quite a bit. But a word of warning….don’t call it a chicken…in AQ3D that’s a “Dricken” (dragon and chicken) and the team behind the game’s passion doesn’t just extend to their hard work but also to the lore of the land, so get to know your critters. My thanks to the team at Artix for their time and their CLEARLY evident passion for gaming and their franchise. It was refreshing to see on what usually would have been a run-of-the-mill preview. You’ll be able to play AQ3D on Steam, iOS, and Android devices. 1. ( It hard to level up) more level in coming maybe atleast 200-250 level make it like really (DIFFICULT TO LEVEL) KILL 1 BILLION ENEMIES TO GET 1 LEVEL WHO CARES HAHAH Because Players who r in max level will be AFK AFK and waiting for updates. If u do this u guys would be have more time to do updates without making the players bored waiting on new updates (espcially those people who r in max level) just like aqw. 2. 1 stats or 4 stats every level up on the character, also putting stats on skills are included.
. U know what i mean here. If the game is about making the character get strong and strong till he become a legend then people wouldn’t stop playing. (I just stop playing aqw btw u just waiting on new updates :/ ) I am Hoping on AQ3D YAY! Make The game really Enjoyable surely u will get a lot of customers 🙂 1 more thing ‘Contest’ I loved it . It just game would be really great if the player are still playing not waiting on new updates get what i mean? My biggest worry is the 5 abilities. I hate MMOs with a small amount of buttons, what a bore to sit there spamming a few buttons. It’s one major reason why I quit WoW, they removed so many abilities. Keeps the mind moving through monotonous grinding/raiding when you have a complex rotation, remove the complexity and you find yourself falling asleep. i wouldn’t mind if there were 5 abilities that combo like tap it twice then tap another once then tap the the previous another time something like that for skill combos that would give the skills depth but still easy enough that people on tablets and phones will enjoy it. My biggest worry is the 5 buttons for the UI but that’s unlikely to changed the developers even confirmed it. AQ3D is a game that’s a bit different to other MMOs. AQ3D does not demand you to play it like a second job, to keep up with competitive gearing, or to be in a guild to enjoy. It’s great for both casual breaks while waiting on transport, or for longer sessions in the evenings. 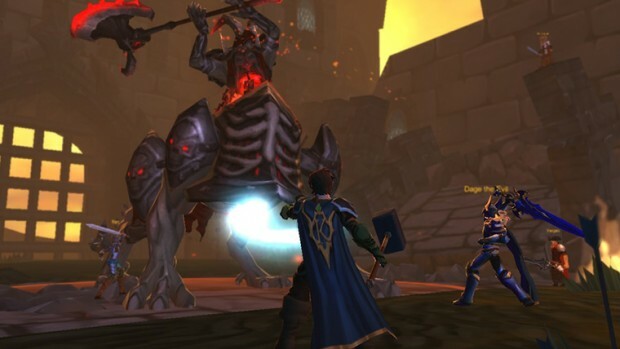 Though it is officially an MMO, Artix Entertainment has always focused on making sure that the single-player experiences in their games are worthwhile. The storyline is lighthearted, and is suitable for younger gamers, while not being too trite or simplistic for an older crowd. Microtransactions will be optional, but if this latest iteration of Adventure Quest is anything like the older ones (and like other AE games), they should be unintrusive and not create a huge convenience gap. 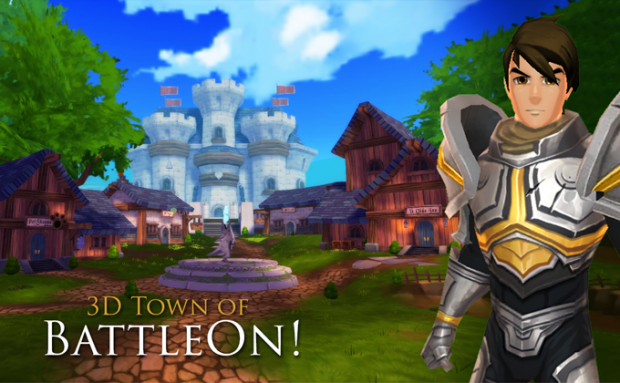 For folks looking to play the game, closed and open betas will arrive later this year (http://www.aq3d.com/progress), and the current pre-beta is open to those who support AE. There are also two wikis available if you’re looking for more info: the fan-maintained aq3d.wikia.com, and the official aq-3d.wikidot.com. The wikia has game guides and friendly members who can answer your questions, and the wikidot is a good index of the items in the game. My turn is next Monday for the preview session and I can’t wait !